It takes 15 minutes in a tinny to cross from Australia to Papua New Guinea. Boigu Island in the Torres Strait is less than six kilometres from PNG—‘within a bow shot’, a colonial administrator once quipped. More conventionally, it’s a 90-minute flight from Cairns to Port Moresby. Yet according to the Department of Foreign Affairs and Trade, only around 10,000 Australians are in PNG at any one time, including those working in the government and private sectors and more than 5,000 who walk the Kokoda Track each year. It’s disappointing that more Australians don’t take an active interest in their nearest neighbour, especially noting our shared history, PNG’s vibrant and diverse culture and its physical beauty—for example, the country is home to the world’s third-largest rainforest. 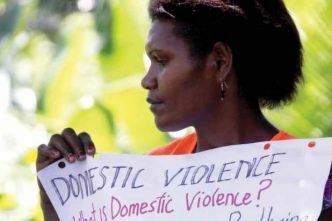 PNG often gets bad press with news highlighting violence, corruption and hardship, and there may be a sense that its challenges are too overwhelming to address. While Australia is third on the 2018 UN Development Programme composite human development index, behind only Norway and Switzerland, PNG is at 153 with Rwanda, Afghanistan and Solomon Islands. Australians can expect to live nearly 20 years longer than Papua New Guineans. Women in PNG are at least 37 times more likely to die giving birth than women in Australia. Less than half of Papua New Guineans have access to safe water and only around 13% have electricity. Distressingly, polio, eradicated in much of the world, has reappeared in PNG, a result of the very low immunisation rate. PNG is growing quickly. The population, 2.5 million at independence and 8.5 million now, is set to double by 2050. A youth bulge means almost 60% of the population are under 25. Access to health, education and other services isn’t keeping pace with growth. I’m very aware of these challenges because my job is to help PNG’s largest company, Oil Search, help the country address them. As executive director of the Oil Search Foundation, I lead a team implementing over $35 million worth of programs targeting health, education and women’s empowerment each year. Our programs promote shared value by bringing together what’s good for business while addressing community needs. From 2000 to 2011, I worked for the Australian government, including heading the PNG–Australia Development Cooperation Program with an annual budget of over $500 million. I’ve grappled with two main questions—how to get Australians interested in PNG and how to deliver positive development. There’s always been recognition at the political level of PNG’s importance. Prime Minister Billy Hughes told the 1920 Paris Peace Conference, ‘Strategically the northern islands encompass Australia like fortresses. 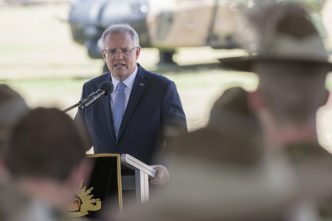 They are as necessary to Australia as water to a city.’ During World War II, Australians fought desperately to stop Japan from occupying PNG, which would have provided a launching pad into northern Australia. 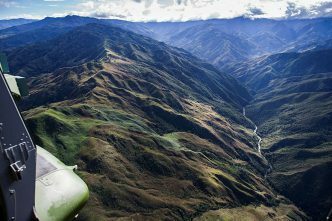 There’s also been recognition that PNG’s borders are porous to crime, people, pollution and disease—and of its economic importance. Two-way trade was $6 billion in 2017. Around 5,000 Australians do business in PNG, and Australian companies currently invest over $18 billion there. It’s not surprising that Australia has been PNG’s most significant donor, both in the volume and breadth of aid. It also raises the question of whether our aid programs are delivering the outcomes they were designed to achieve. PNG’s strong overall growth has not translated into equitable development for Papua New Guineans. PNG’s poor law and order, lack of infrastructure, complex governance arrangements, weak public service, inequality between men and women, poor health and education services, and rapidly growing population are challenges to its future prosperity … Over three million people—or 40 per cent of the population—remain poor or face hardship. I wrote almost identical words when drafting aid documents in 2000 and these sentiments have been captured in a similar form in all official aid documents since. Nor has the focus of aid changed much since the 1990s. Australia is still funding programs to improve governance, support and strengthen NGOs, empower women, improve infrastructure, build the capacity of police and justice services, foster people-to-people links, and support the delivery of health and education services. 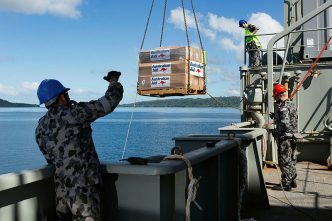 What has changed somewhat is the way aid is delivered in line with international trends, or the priorities of the Australian government at the time, such as the appetite to either work within PNG government systems or directly fund services. Since the late 1990s, as budget support was phased out, there’s remained a steady reliance on expatriate managing contractors and advisers to support aid delivery or institution-strengthening programs. But Australian aid has made a difference. It’s saved lives by keeping healthcare facilities open with trained workers and medical supplies. More women have survived childbirth and many children have avoided deadly diseases because they’ve been immunised. Aid has improved access to family planning, maintained essential infrastructure, kept roads to markets open, supplied classrooms, supported domestic violence survivors, and trained teachers and public servants. When I was head of the aid program and we were still funding direct service delivery, Australia provided much of PNG’s medicine. Our aid was saving lives simply by keeping stocks up. It’s also true that many of PNG’s most successful business, civil society and government leaders have been recipients of Australian scholarships. Australian aid provides technical advice on public expenditure and budget management, public sector reform, and decentralisation. It has helped to foster a positive bilateral relationship essential to our national interests. The problem remains that Australia has been delivering aid in PNG for decades and it still languishes at the bottom of the UNDP index. Part of the reason that aid hasn’t been more effective is the weak institutional environment in PNG and the fact that Australian aid makes up only 8% of PNG’s budget. For development outcomes, it matters what PNG does with the other 92%. In my long experience dealing with all of these realities, I’ve learned that some aid works and some does not. It’s important to understand these differences if aid is to more effectively help PNG change its development trajectory. A good starting point is the key principle of the 2005 Paris Declaration on Aid Effectiveness: aid works when we work together to achieve results. PNG needs to own the agenda and support a conducive environment for aid. This means its government needs to take the lead to set policies, improve institutions and tackle corruption. This takes decades of commitment and often generational change. Partners must continue to explore how to work within governance constraints while maintaining integrity. PNG is increasingly accepting that some government responsibilities can be delegated to the private sector. Corporate leaders are now chairing boards of provincial health authorities (PHAs) and overseeing expenditure and performance, resulting in healthier communities. In Hela province, where Oil Search managing director Peter Botten is PHA chair, all expenditure is tightly controlled and all partners—government, private sector, donors and members of parliament—are starting to put their funds through PHA systems. This is improving results, including 100% of immunisation targets being met. We’re taking a similar approach in Southern Highlands where I was recently appointed board chair, and it’s happening elsewhere. In this decentralised system of government, what happens at the subnational level can make a huge difference. Indeed, one of the most promising developments in recent years is the number of provinces and districts taking leadership and performing better despite constraints at the national level. It’s easy to find committed, honest, hardworking people who want to make a difference for their communities. Donors must align with PNG government systems, standards and legislative frameworks. I saw in Hela province the consequences of a failure to do so. In 2015, the Oil Search Foundation was asked to help ensure the provincial hospital didno’t collapse following the exit of a partner who had been working outside the health system, hiring their own staff, buying their own drugs and delivering separate medical services. The capacity of the hospital was so weak after years of neglect that without external support more than 300,000 people would have been without its services. Alignment doesn’t mean everything must go through government. Where appropriate, the government can and should outsource aspects of service delivery or delegate governance functions, including to the private sector. Nor does alignment mean donors must put their funding through PNG government systems. Rather, we should work together to coordinate and report all funding under the government’s budget framework, reporting frameworks and other systems. Traditional donors—bilateral, multilateral and international NGOs—must work better together and more constructively with non-traditional partners like the private sector. Until now, coordination and cooperation have been very poor. Similarly, the current practice of contracting out management of the aid program can, if care isn’t taken, stifle innovation and the willingness of other partners to commit their own funds and other resources to achieving shared goals. There’s still a long way to go to leverage the full potential of PNG’s private sector to achieve development objectives. Business brings substantial capital, and capital investment (much more than aid) provides jobs and training, can influence society by empowering women or addressing major health concerns such as tuberculosis and HIV that threaten the workforce, and can promote changes in the behaviour of tens of thousands of staff captured under a company’s value system. The private sector can work with agility and speed and often is able to deliver results more quickly than government or donors. Increasingly, companies are recognising that business is most likely to thrive if it can improve a society as a whole while generating a fair return. There are real opportunities for innovative approaches to public–private partnerships that could transform sectors like agriculture that can employ many people while addressing social issues such as conflict prevention, empowering women, addressing the youth bulge and preventing disease. There’s an incredible opportunity to work together to build the next generation of PNG leaders—a long-term solution to the governance challenge—as well as many other possibilities to achieve sustainable development. The importance of the private sector is well recognised by the Australian government as articulated in the 2015 ministerial statement on engaging the private sector in aid and development. But statements such as these require better implementation, at least in PNG. 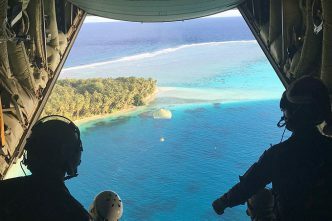 It has been difficult, partly because Australian contractors haven’t been able to operate in a high-risk security environment, to find ways to rebuild after the devastating earthquake that struck the PNG Highlands on 26 February. This is despite the fact that many schools and healthcare facilities have been closed since, which is not only a social disaster but is fuelling conflict. There’s been no real effort to engage companies working in earthquake-affected areas that have strong interests in rehabilitation. A stable operating environment is as important to many of these businesses as national security interests are to Australia. They have their own funding to offer, and fewer security constraints. A more positive partnership approach is improving health services in Hela and Southern Highlands, two remote provinces challenged by ongoing conflict and service delivery and heavily impacted by the recent quake. Partners have defined the results they’ll work together to achieve, using the performance indicators in PNG’s medium-term development strategy. Funding and other support is secured from more than 10 different organisations, including the PNG government, Oil Search and the Australian government. Results like increased levels of immunisation, a reduction in diarrhoea, and delivery of water and electricity to all health centres are closely monitored to show progress. Over time, this will reduce child and maternal mortality. This approach is proving successful because of the range of partners involved, the ownership by government and the delegated governance model outlined above. The Oil Search Foundation has played the role of coordinator and is supporting good governance. The model has adequate resourcing and a true commitment to working in a manner that meets individual and collective interests. There are no highly paid international advisers co-located to ‘build capacity’ and ‘strengthen institutions’. Instead, partners work side by side with government to get the job done, and succeed in incremental but durable capacity-building along the way. This approach and other multi-partner innovations should be expanded to other areas where there’s a collective interest in finding a solution. Together, all parties must identify the impact they want to have and understand their individual and collective interest in success. We should not accept a continued lack of progress as the norm. Instead, we should all agree that it’s possible to create a partnership that delivers large-scale change and remain committed and vigilant in ensuring this happens. Stephanie Copus-Campbell is executive director of the Oil Search Foundation. Image courtesy of the Department of Foreign Affairs and Trade.